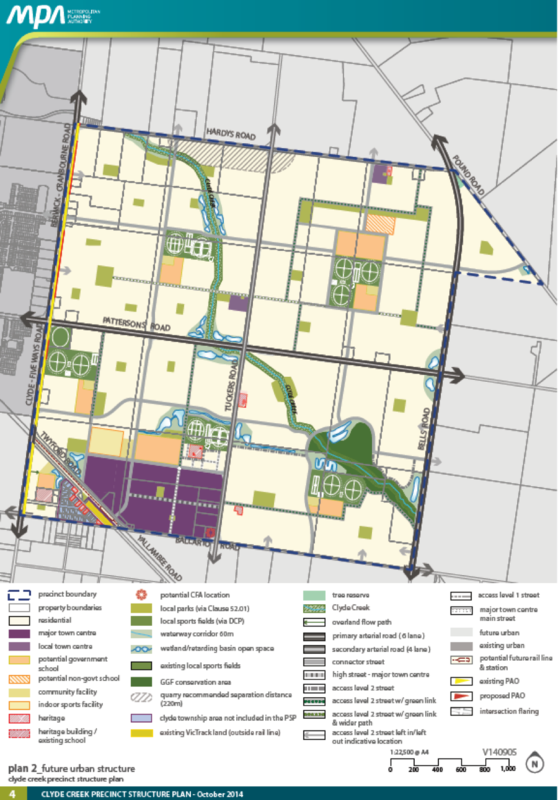 The Clyde Creek Precinct is planned to be predominantly residential with a major town centre on Ballarto north in the southwest corner. The precinct will connect to existing development to to the north by Berwick-Cranbourne Road. The Casey Fields South Employment Precinct Structure Plan (PSP) provides guidance for the development and long-term growth of land within the Brompton Lodge Precinct.The Future Urban Structure Plan below demonstrates how each stage of the precinct will be developed over time. It identifies land set aside for a variety of uses, including residential, employment, schools and community facilities.